We generally don’t think of the French Canadians as slave owners, of either Indians or Africans, but Indian slavery was legalized in what is now Canada in 1709. In fact, in 1725, half of the colonists who owned a home in Montreal also owned a slave. The slaves were a mixture of Africans and Panis, Native Americans – but primarily Native Americans because the African trade routes did not favor the Canadian market, did not venture north to the St. Lawrence, and Africans purchased on the Atlantic seaboard were expensive. 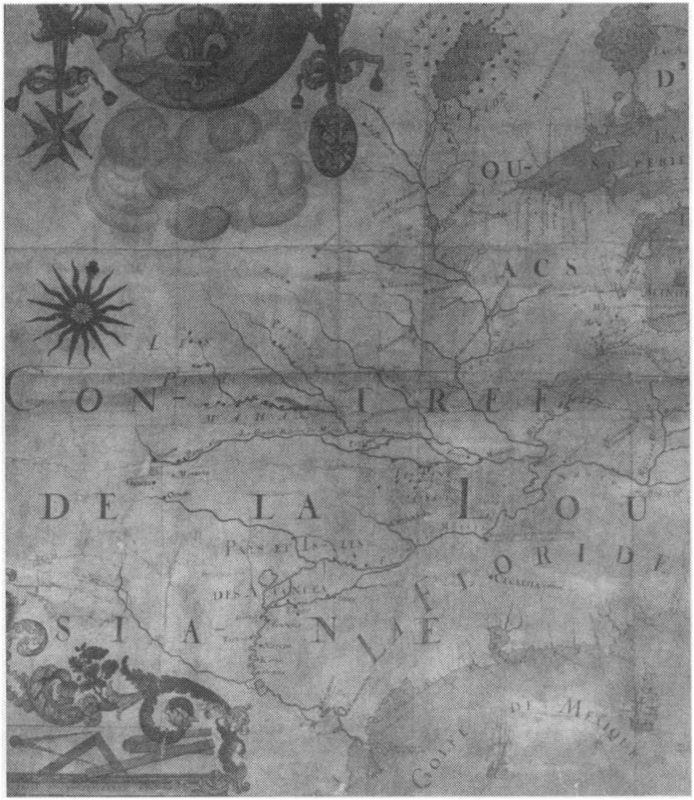 The paper, ‘“A Little Flesh We Offer You”: The Origins of Indian Slavery in New France’ tells us that although slaves never constituted more than 5% of the entire population, an extensive network of Indian slavery developed that transformed thousands of Indian men, women and children into commodities. How this happened may surprise you. This map, from the article shows the region where many of the Panis were taken from – Louisiane. See the Gulf of Mexico in the lower right corner. In addition, many slaves were taken in raids in the Great Plains and made their way east through a Native barter, raid and trade network. However, due to the demand for slaves, male captives who would formerly have been disfigured or tortured and killed in previous Native vs Native tribal battles were now spared and sold into slavery. This suggests, of course, that where we find our Native ancestor first appearing in records may not be at all where they originated, especially in Canada. Suzanne Sommerville, researcher with the French-Canadian Heritage Society of Michigan for nearly 40 years has critiqued the above paper and has some criticisms and corrections to offer. You can see that paper here and also the parish records up on which her corrections are made here. These are particularly relevant to Indian naming practices. Hat tip to the Acadian rootsweb list for this source. This entry was posted in Canada, Panis, Slaves. Bookmark the permalink.